The rules of consumer engagement have changed. Your customers no longer care about legacy – what matters to them is how you are innovating into their world today. The classic ‘solve a problem’ approach that industry giants have always employed is no longer relevant. Consumers want switched-on, creative responses to their needs and desires. 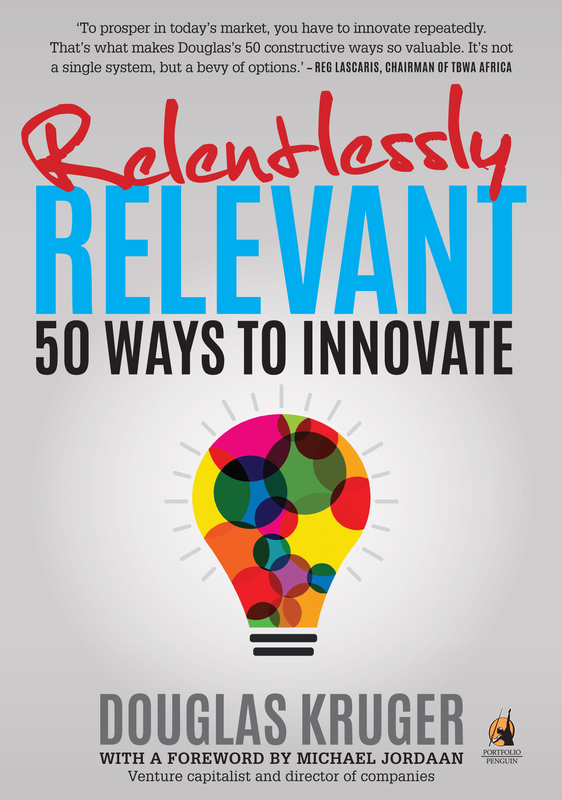 In Relentlessly Relevant, professional speaker and business guru Douglas Kruger explores the field of innovation, reducing its subject matter to the simple starting points you need to become an industry trendsetter. It pinpoints the levers within your own business crying out for innovation, as well as the bits you should leave alone at all costs, and it teaches you to change your traditional way of thinking, altering how you relate to your customers’ immediate reality. Douglas Kruger is an international speaker, business author and five times winner of the Southern African Public Speaking Championships. He helps organisations to innovate, break their own rules and disrupt industry norms, in order to position themselves as leading brands. See him in action at www.douglaskruger.co.za.